It was a lovely relaxed morning for the bride who got ready at Saunton Sands Hotel. Janine and her bridal party enjoyed being pampered having their hair and make-up done and everyone helped out with keeping an eye on Janine & Grahams gorgeous little boy. But bless him the confusion of the day and having to put on smart clothes got a bit too much for him, so we had a few tears but nothing that Mummy cuddle couldn't put right. Graham and the boys got ready somewhere nearby and they all looked very dapper in their grey three piece suits. I rounded up the groom, the best man and his ushers for a few shots before they went into the hotel to take their seats. 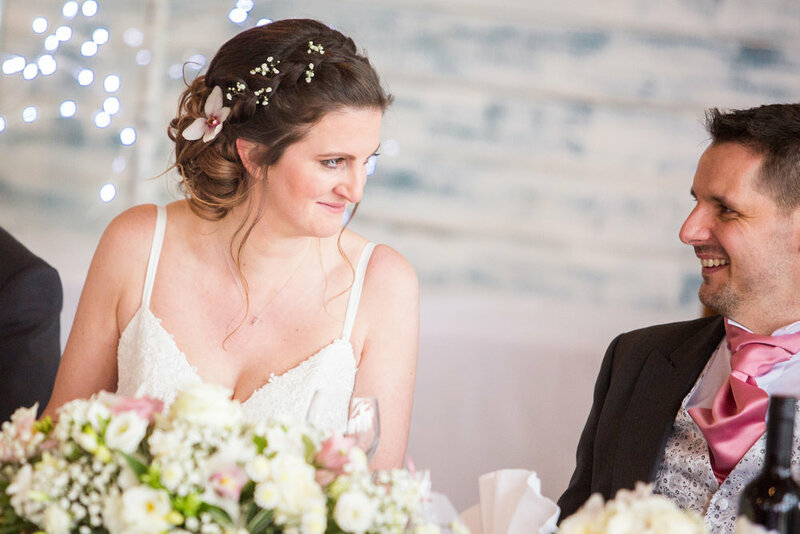 The ceremony whilst serious had it's fun elements too and throughout the ceremony the beautiful, classically trained voice of Tamsin Ball filled the room (If you haven't heard Tamsin before go check her out, she is incredible) The atmosphere was filled with love and laughter. You can clearly see how happy and content Janine and Graham are with each other and that they are a fun loving couple too. So with the ceremony done it was time for a short windy walk down to North Devon's Beachside Grill on Saunton Sands beach, with of course a little game of hide 'n' seek along the way, lol. It's a really lovely relaxed venue for a wedding. Before going in Janine & Graham braved the cold weather and wind to head down onto Saunton Beach for a few private couple photos. We didn't stay very long as the wind was bitter but the cold grey skies made for an atmospheric backdrop! Then it was back to the Beachside Grill where it was nice and warm inside, perfect for celebrating Janine & Grahams wedding. After a good fill of food and some drink the speeches got underway. Once the speeches were done their was a little boy who stole everyones hearts. The best mans son wanted to say something, so he stood up on his chair to let everyone know that he was "delighted that everyone was here today and having a great time" I mean how cute is that! I feel honoured to have shared Janine & Grahams wedding day with them and their family and friends. Below is a selection of images from their day, I would love to know what you think. 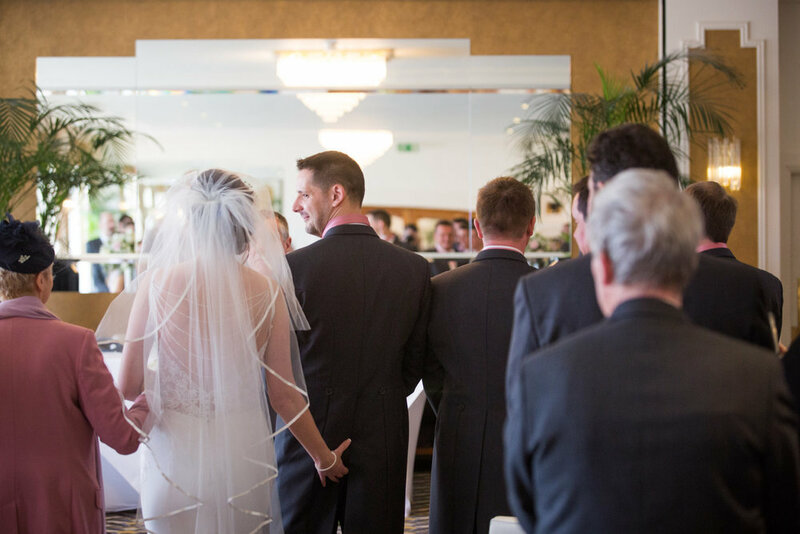 For more information on our wedding packages or to check my availability for your wedding day click on the link below. Alternatively give us a call at the studio on 01271 325966.